Welcome to NAY orthodontics, located in the heart of Morrisville, North Carolina where your smile is our TOP PRIORITY. Our entire team of highly skilled individuals is dedicated to providing you with the personalized, professional, affordable care that you deserve. Our practice proudly provides quality orthodontic treatment to patients in Morrisville, Cary, North West Cary, Raleigh, Apex, Durham and other areas across Wake County. Part of our commitment to serving our patients includes providing information that helps them to make more informed decisions about their orthodontic needs. When you become a patient at our Morrisville orthodontic practice you become a part of our family where we value honesty and integrity and treat each person as we would want to be treated. We provide an assortment of cutting-edge dental treatments that address a range of issues, such as teeth that are overcrowded, crooked, improperly spaced, as well as several types of malocclusion, including underbite, overbite, crossbite, and complications that cause temporomandibular joint (TMJ) dysfunction. Teeth alignment improves the appearance of teeth while making it easier for patients to maintain proper dental hygiene. Uniform teeth improve the functionality of teeth and prevent uneven wear. Our orthodontist serving Morrisville and Cary also provides emergency services after hours for select cases. We take emergencies on a case by case basis, scheduling patients as soon as possible. We are a team of experienced professionals dedicated to serving the needs of our patients and enhancing their lives with high-quality orthodontic care. Dr. Robert Nay strives to provide quality orthodontic services to patients of all ages and all lifestyles. His focus is personalized to each patient's individualized needs and assures that you leave our office with a smile every time. Dr. Nay believes that everyone deserves to have a beautiful, healthy smile that will be valued for a lifetime. 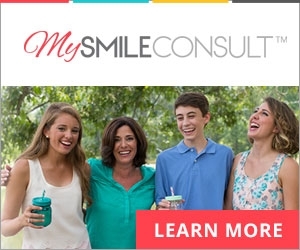 Please contact our orthodontic office serving Morrisville and Cary at 919-380-9922 if you have any questions or would like to schedule a complimentary consultation.